MODEL TRAINS, MODEL LOCOMOTIVES, LIVE STEAM, DIGITAL DCC SOUND, N GAUGE, HO GAUGE, OO GAUGE, O GAUGE, G GAUGE. 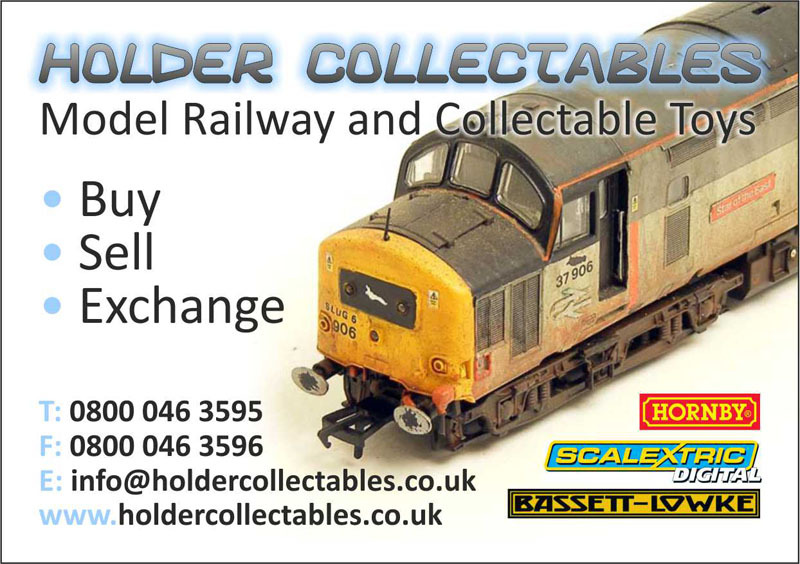 WE BUY, LOCOMOTIVES, WAGONS, COACHES, BUILDINGS, TRACK, SCENERY, LAYOUTS - COLLECTIONS OF ALL SIZES ! BASSETT LOWKE TRAINS, TRIANG TRAINS - ALL MODEL TRAINS WANTED & BOUGHT ! SUPER FAST SERVICE, WE CAN COLLECT UK NATIONWIDE, PAY CASH, PAYPAL OR BANK TRANSFER ! We are the Premier Model Railway Buyers in the UK - We have had commercial dealings with Pete Waterman OBE, Jools Holland, Sky TV & Saga Publishing - With that on our CV - We are doing something right ! We buy all Model Railways, all Gauges all Ages - No matter how old or brand new, we will buy it ! With us, it couldn't be easier ! We have completed many purchases from satisfied people all over the UK, we are centrally located in Warrington, Cheshire which enables us to travel the UK with ease. No where is too far, we travel nationwide, from Scotland, to Norfolk and London is a regular destination. We deal with every enquiry, we value your time and collection, it doesn't matter whether you have a single item or a loft full - we will be happy to purchase whatever you have. We buy any amount, small or LARGE - Our Sales Office is open 7 Days Per Week, we offer a UK Nationwide Free Collection Service, all payments are fast and can be paid for in cash on the same day ! Selling your collection yourself can be slow and hard work, let alone expensive - with us its fast, free and most of all safe !